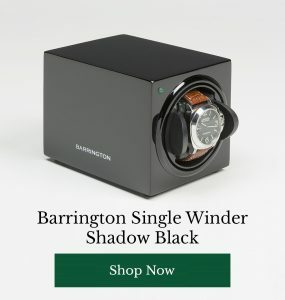 Earlier last week we challenged the Barrington community to name the iconic watches that made an appearance in films over the past half a century. 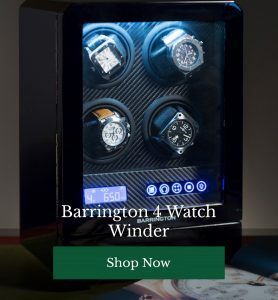 Many guessed the correct watch and the correct film with wristpieces ranging in from classic Omega and Rolex watches to more modern Hamilton models. With the challenge proving difficult for others, we thought we’d take a look at 9 iconic watches in film. We first take a look at the Omega Speedmaster in the more modern film ‘First Man’. A film which has leading actor Ryan Gosling appear as Neil Armstrong, taking the first steps onto the moon. Omega takes the throne for one of the most iconic watches in film, because of its history; it was the first watch on the moon. With the watch brand being the only qualified watch to go into space with NASA, the Speedmaster is an iconic watch that has a history out-of-this world and its recent appearance in the film makes it an icon in film too. 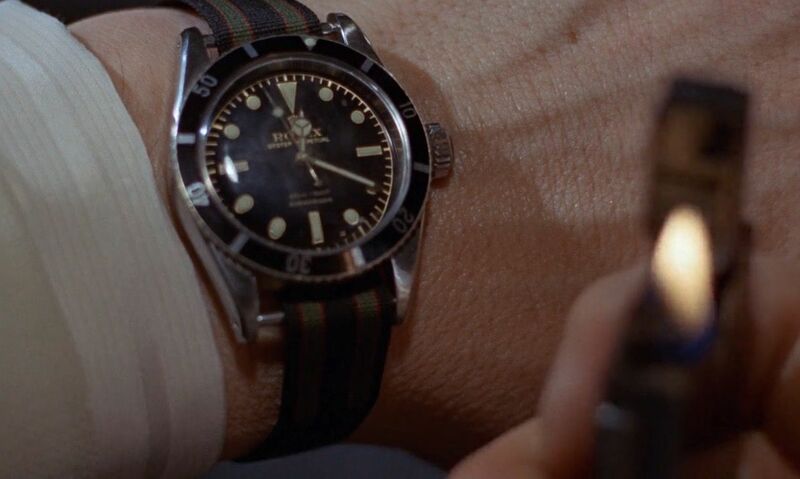 How can you have a list of iconic watches in film without talking about James Bond? The agent has had a whole heap of luxury wristpieces on throughout every movie and Goldfinger isn’t an exception. Making its grand open in the first three minutes, the Rolex Submariner 6538 was Bond’s choice. Fitted with a regimental strap, it’s an iconic watch from an iconic Bond film and actor Sean Connery held it well. 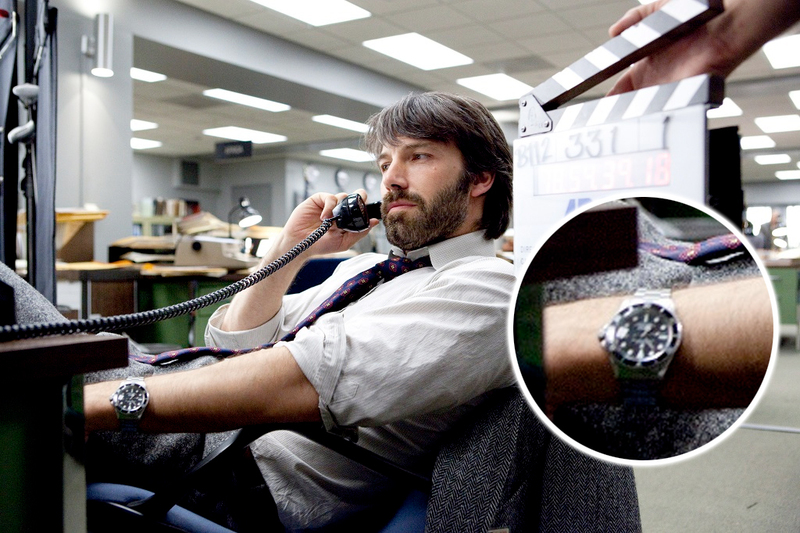 Although perhaps not a well-known film (despite it’s praise from critics) the Rolex Sea-dweller, featured on Ben Affleck’s wrist, speaks for itself. The Sea-dweller has a history going back 50 years entwined with diving and its relationship with Comex S.A.
American Psycho is Christian Bale’s cult classic. Featuring a businessman by day and a murderer by night, this character isn’t afraid to show of a bit of bling. The Rolex Datejust may have been introduced in 1946, but became an accountants and financial experts best friend when Rolex released a gold fluted bezel option in the 1980s. Could this very well be the greatest film of all time? 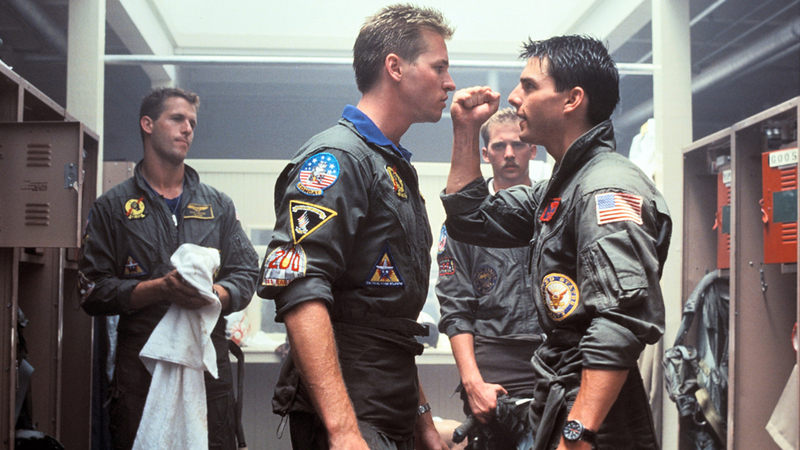 Top Gun isn’t shy of bringing out the big guns and the IWC featured on Tom Cruise’s wrist is no exception. Porsche Design took to IWC for the manufacturing of their chronographs. As sported by Maverick. Matt Damon is stuck on a remote planet with zero contract from earth (Sounds like a dream right?). 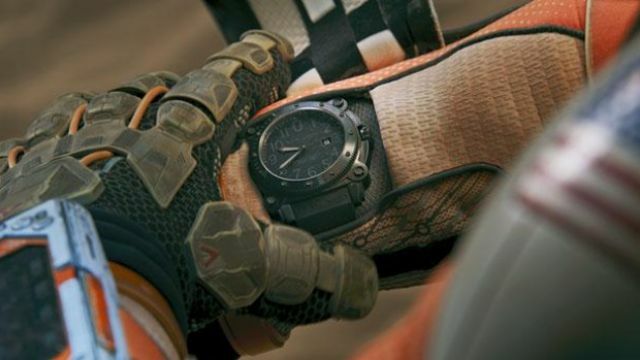 And despite not having some of the basic tools and equipment, he seemingly has time for a Hamilton Khaki BeLOWZERO watch to keep him company. Released in 2008 the Hamilton piece does fit rather well in among the movie props with its urban and modern design. Always Be Closing! Alec Baldwin is the man that everyone else wants to be. 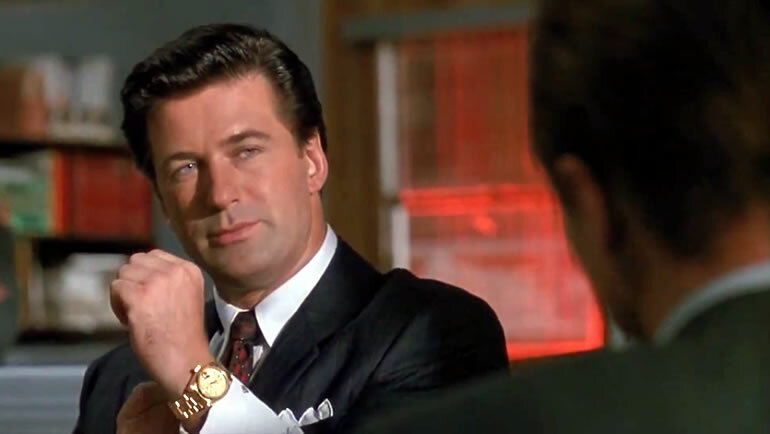 Starring as Blake in Glengarry Glen Ross, the character shows of his success as part of a speech using his golden Rolex daydate. A watch that screams ‘I am wealthy, look at me’, the Daydate is an iconic wristpiece on the arms of a real estate agent making the big bucks. We told you about the boom of the gold Rolex’s in the 1980s, well this Wall Street broker is a little bit different. Thanks to director and watch enthusiast Martin Scorcese, Leonardo DiCaprio sported a Tag Heuer Series 1000 throughout the 2014 film, The Wolf of Wall Street. The Tag Heuer Series 1000 was a rather unusual timepiece for the brand as it was a solid gold watch that was advertised as a diver watch. The model was launched in the early 1980s to then be phased out in early 1992. Tom Hardy sports a Tag Heuer Aquaracer in the British-American drama Locke. Featuring a man who spends half the movie with his left arm on the steering wheel of a car, his watch is in the limelight throughout. The Tag Heuer Aquaracer is a 21st century model that is a popular choice in the watch community. With a striking design, it’s a professional looking watch that can be seen as sported by the Navy. Find another iconic watch featured in a favourite film? Comment on our Facebook post and let us know! H. Moser & Cie. Create a Nature-Inspired Watch Filled with Grass.